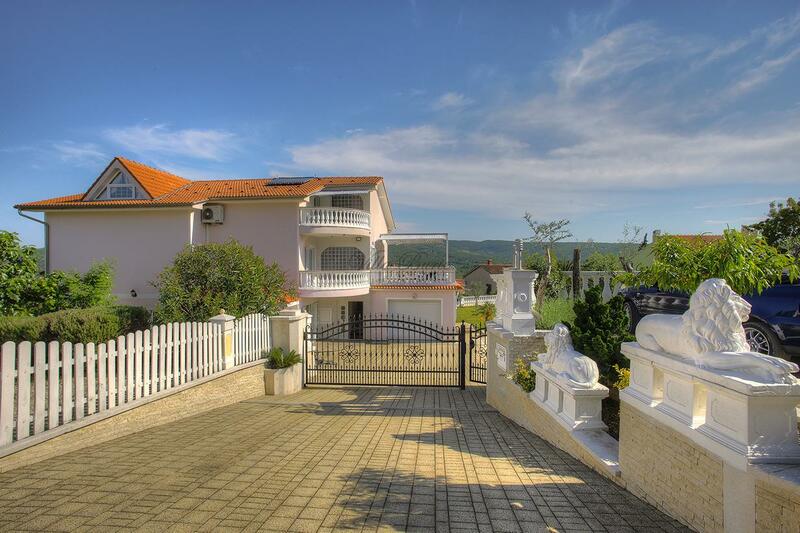 Welcome to “Villa Buric”, beautifully situated on an elevated position in the idyllic Cizici. 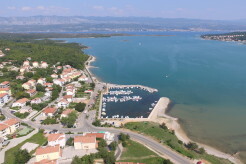 This small village is located on the waterfront in “Soline” bay in Cizici on the island of Krk. In this picture-book landscape, surrounded by olive trees, Villa Buric is situated. 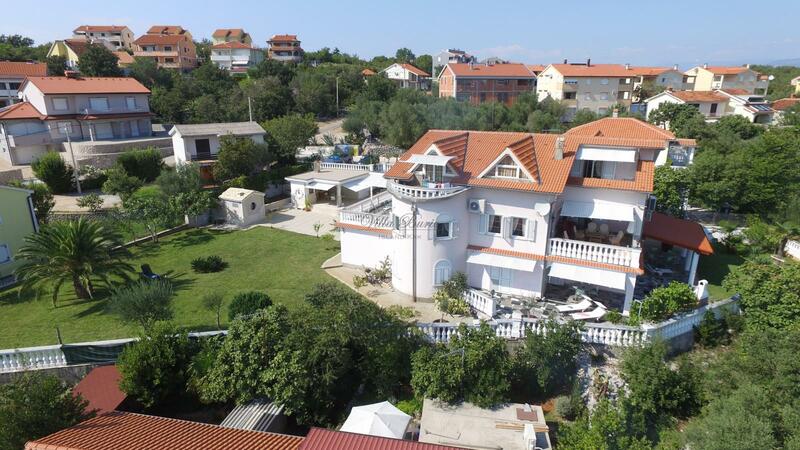 The Villa Buric was built in 2005, with four apartments for a total of 14 people. 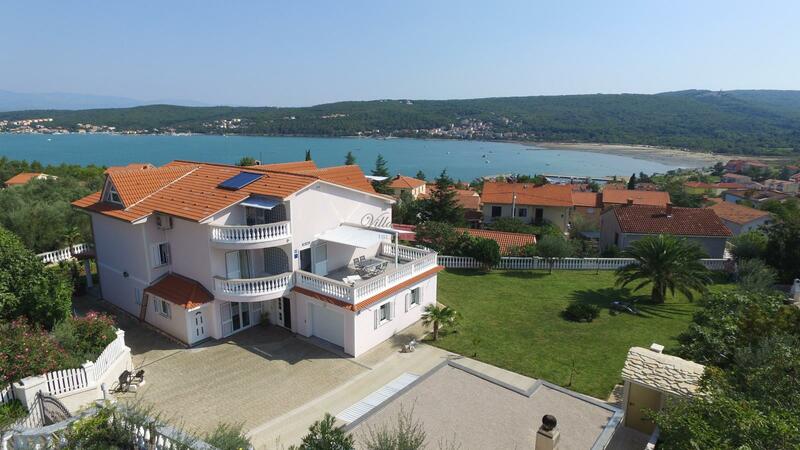 The house has three floors and is surrounded by over 1000 m2 fenced Mediterranean garden.The close proximity of the sea and healing mud, the peaceful and natural surroundings, the smell of the sea and the pimentos offer a natural sea-spa for body, soul and spirit. 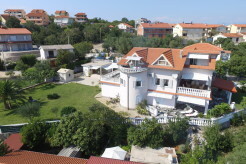 On the ground floor there are two apartments, apartment no. 1 and apartment no. 2, which offer accommodation for up to seven people, each one with a large terrace and wood grill. 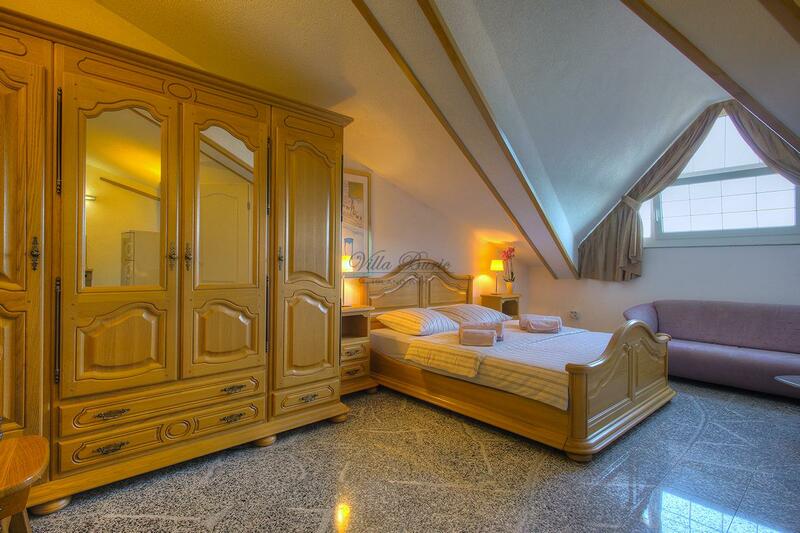 Also very suitable for two families. The 1st floor is used for private purposes. In the attic there are two more apartments, apartment no. 4 and Studio apartment no. 5. 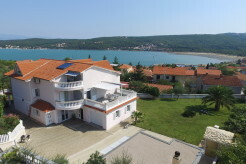 Both penthouses include a beautiful balcony overlooking the sea, Soline bay with many small beaches and healing mud, the surrounding villages Klimno and Soline, also pointing to Dobrinj, Hlapa … and continue on the mainland with the small towns Crkvenica, Novi Vinodloski, Selce and the surrounding mountains. 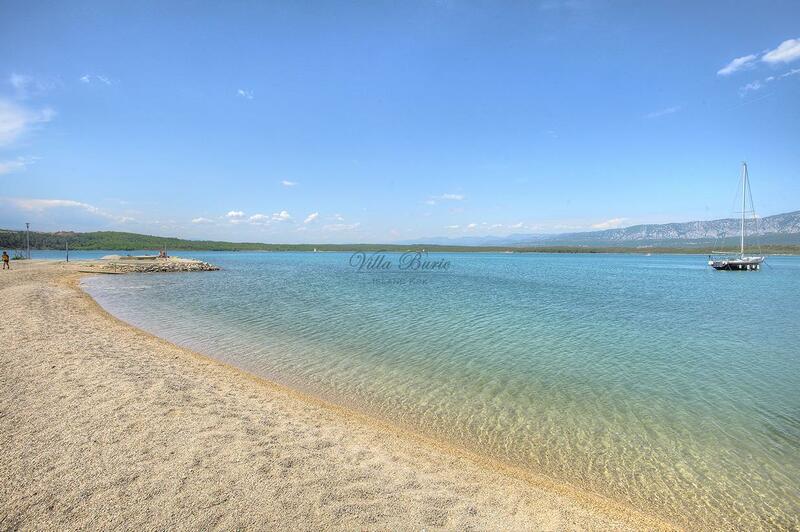 On the virtual tour link you can also enjoy all this visually. Under the heading accommodation you will find further informations about the apartments. The whole house is a smoking-free area except for balcony and terrace. Familiar atmosphere, hospitality, straightforward and courteous. 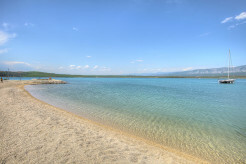 There is splendid bathing throughout all Soline bay. 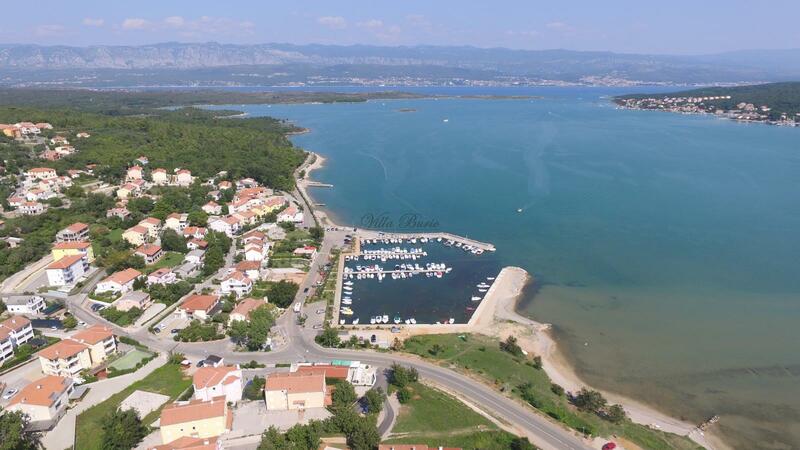 In addition to the big mud beach which is very suitable for small children, Soline bay offers pebble beaches or also so-called Wild Stars.